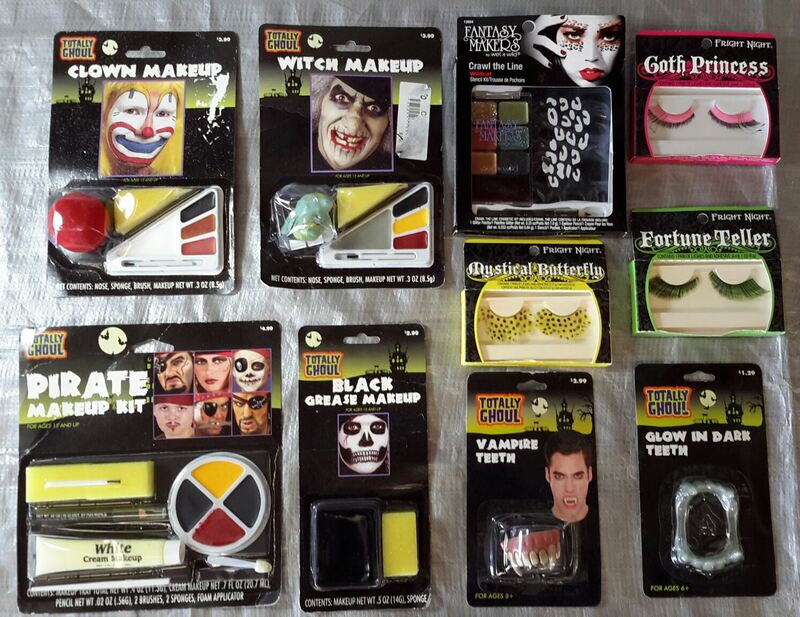 Wholesale lot of 159 Halloween Make-up, teeth, glitter, lashes, nails, tattoos, fake blood etc. This is a wholesale lot of 159 Halloween make-up & miscellaneous items, such as fake teeth, glitter, lashes, nails and face tattoos. This lot contains a mixture of types, see pictures for examples of what you'll receive. These items are brand new, mostly still with original retail packaging/tags. Click the button below to add the Wholesale lot of 159 Halloween Make-up, teeth, glitter, lashes, nails, tattoos, fake blood etc. to your wish list.